Scientists from the University of Surrey have developed 'intelligent' nanoparticles which heat up to a temperature high enough to kill cancerous cells - but which then self-regulate and lose heat before they get hot enough to harm healthy tissue. The self-stopping nanoparticles could soon be used as part of hyperthermic-thermotherapy to treat patients with cancer, according to an exciting new study reported in Nanoscale. Thermotherapy has long been used as a treatment method for cancer, but it is difficult to treat patients without damaging healthy cells. However, tumor cells can be weakened or killed without affecting normal tissue if temperatures can be controlled accurately within a range of 42°C to 45 °C. This could potentially be a game changer in the way we treat people who have cancer . If we can keep cancer treatment sat at a temperature level high enough to kill the cancer, while low enough to stop harming healthy tissue, it will prevent some of the serious side effects of vital treatment. It's a very exciting development which, once again, shows that the University of Surrey research is at the forefront of nanotechnologies - whether in the field of energy materials or, in this case, healthcare. Dr. Wei Zhang, Associate Professor from Dalian University of Technology said Magnetic induced hyperthermia is a traditional route of treating malignant tumors. However, the difficulties in temperature control has significantly restricted its usage If we can modulate the magnetic properties of the nanoparticles, the therapeutic temperature can be self-regulated, eliminating the use of clumsy temperature monitoring and controlling systems. 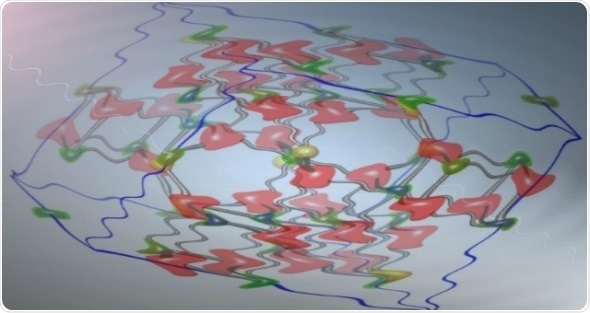 By making magnetic materials with the Curie temperature falling in the range of hyperthermia temperatures, the self-regulation of therapeutics can be achieved. For the most magnetic materials, however, the Curie temperature is much higher than the human body can endure. By adjusting the components as we have, we have synthesized the nanoparticles with the Curie temperature as low as 34 °C. 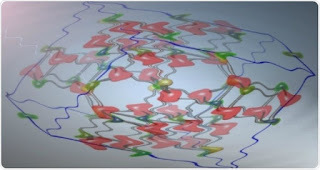 This is a major nanomaterials breakthrough.